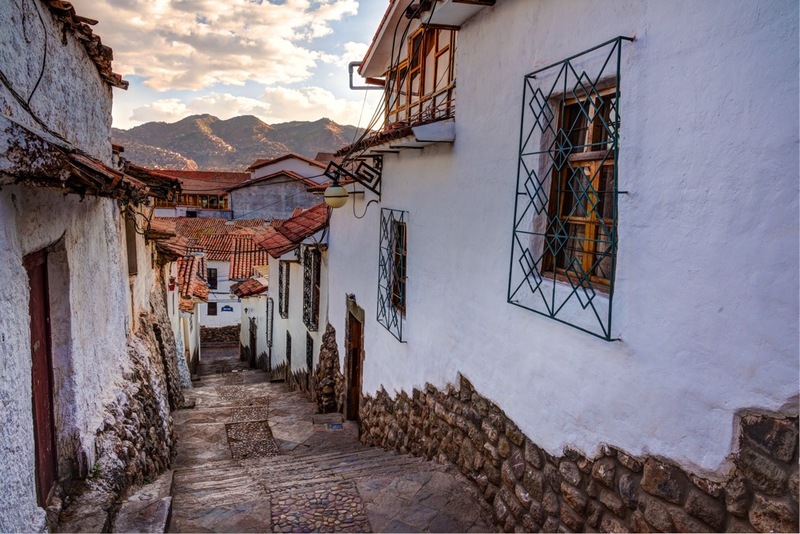 Tucked away up high in the Andes sits an opportunity to travel back in time. Cobblestone-lined streets narrowly pave the way up mountainous hills, while a native woman dressed in fluorescent, traditional clothing smiles at you kindly. 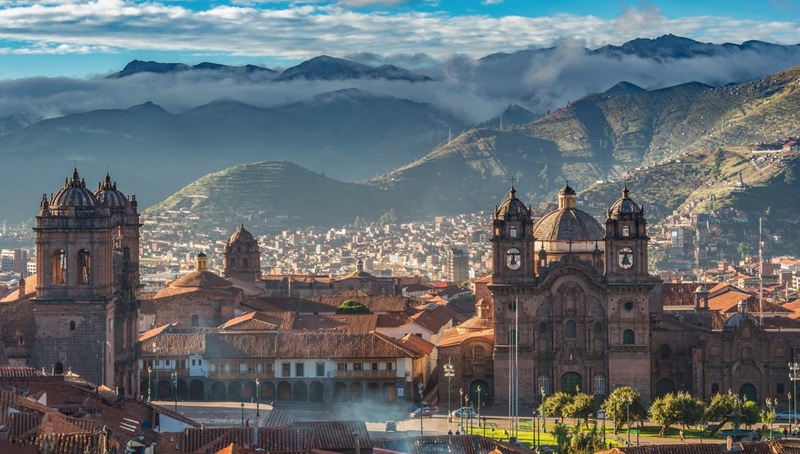 The architecture looks like something out of the European Renaissance, complete with wooden balconies and lavish places of worship, but the Inca foundation tells an even older story. And just as the sweeping views of the surrounding mountains take your breath away, you’ll need to pause for a moment and remember to breathe. After all, you’re standing at 11,200 feet above sea level and there’s still a lot more to take in. This is Cusco, Peru, the former capital of the Inca Empire and one of the oldest continuously inhabited cities in the Western Hemisphere. Oozing with history, culture and activities, this fascinating town is so much more than a jumping-off point for expeditions to the nearby Machu Picchu. While it would be foolish not to pay a visit to one of the Seven Wonders of the World while you’re there, Cusco itself is worth the trip. Aptly dubbed the “Rome of South America,” Cusco’s history dates back as far as 1000 B.C., with the Incas beginning to appear around 1200 A.D. It wasn’t until 1438 that their civilization really began to flourish as they expanded their empire throughout South America—all without the use of wheeled vehicles, working animals, knowledge of steel and a system of writing. The civilization that continues to baffle modern-day archaeologists eventually began to crumble due to a combination of a civil war and widespread disease, and then finally to Spanish rule in 1572. With excavation sites visible throughout the city today and much mystery still to be solved, exploring this UNESCO World Heritage Site is a must. Start the day at the vibrant Plaza de Armas and marvel at stunning architecture while standing in the exact center of what was once the Inca Empire. From there, wander into any of the three significant churches, particularly the famed La Catedral. A piece of art in itself, the cathedral has become a major repository for colonial artwork and archaeological artifacts, which hang from a gold and silver-drenched interior. masonry—a unique fusion of two cultures and eras worth seeing firsthand. 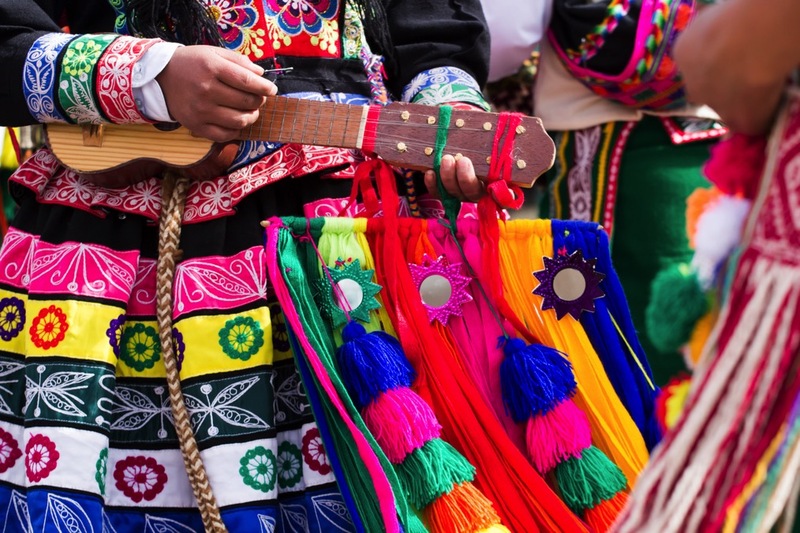 While Cusco’s history is what draws travelers in initially, the artsy nooks and local markets will make you want to stay awhile. The picturesque Barrio de San Blas is any romantic’s dream and boasts views and serenity with which the Plaza de Armas cannot compete. Take the uphill journey slowly though, because although the walk itself isn’t very far, it is quite steep—particularly at 11,000 feet above sea level. Upon arriving to this little slice of Spanish-influenced paradise, prepare to get lost in artisan-everything. Workshops, galleries, cafes and bars colorfully adorn the neighborhood, and exploring all of these could quite easily consume half the day. A few minutes south of Plaza de Armas awaits a taste of Cusco’s lively local scene: San Pedro Market. Haggle with local vendors over a new woven alpaca sweater, a pound of produce or a few trinkets to take home with you. Slow down and warm up with a bowl of sopa (traditional Peruvian soup rich in quinoa, potatoes and lots of veggies) and a plate of lomo saltado (stir fried beef), or sip on a cup of coca leaf tea to combat the altitude. This gigantic, three-block market sells anything you can (and cannot) dream up. 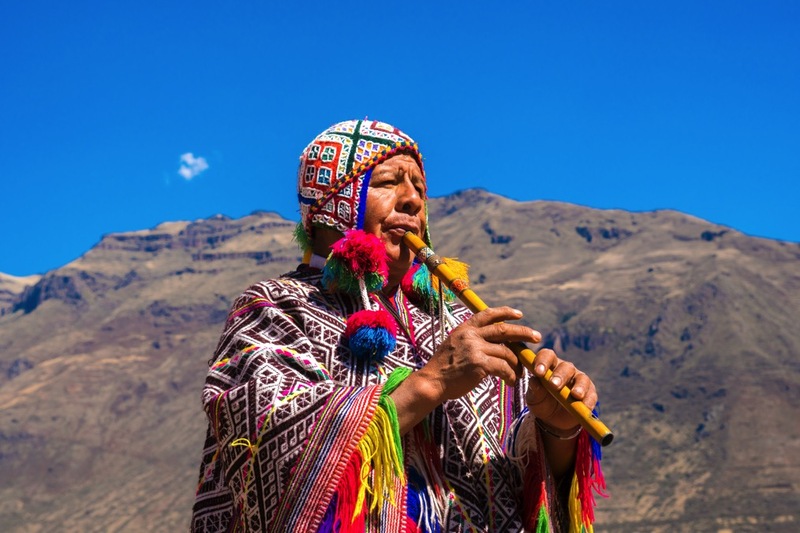 Once the capital to one of the most extraordinary empires of all time, Cusco is now home to palpable history, magnificent surroundings and colorful cuisine. Spanish influence gives way to a more primitive foundation and deeper roots, giving it an unparalleled charm. With museums, restaurants and excursions galore, there’s plenty of magic for everyone in this utopian-like city in the Andes. 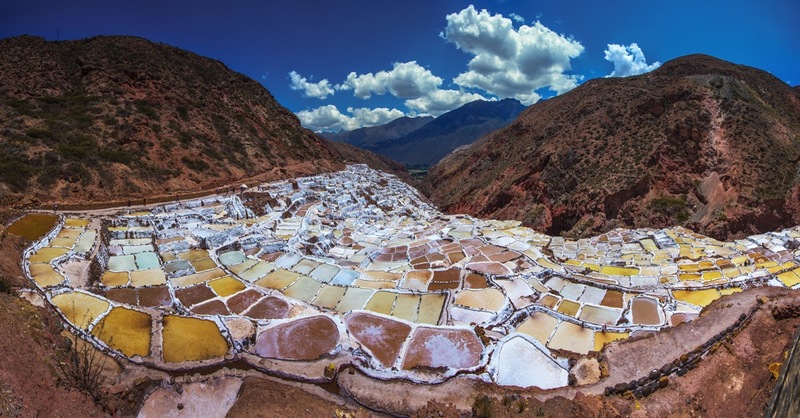 Don’t miss the stunning views of The Sacred Valley, or the pristine sight of the salt ponds of Maras, both of which can be done in a day. Last, but certainly not least, put aside a few days for the wonder that is Machu Picchu. While it can be done in a single day via train, many tour agencies around town offer multi-day trekking trips for all ages and budgets. 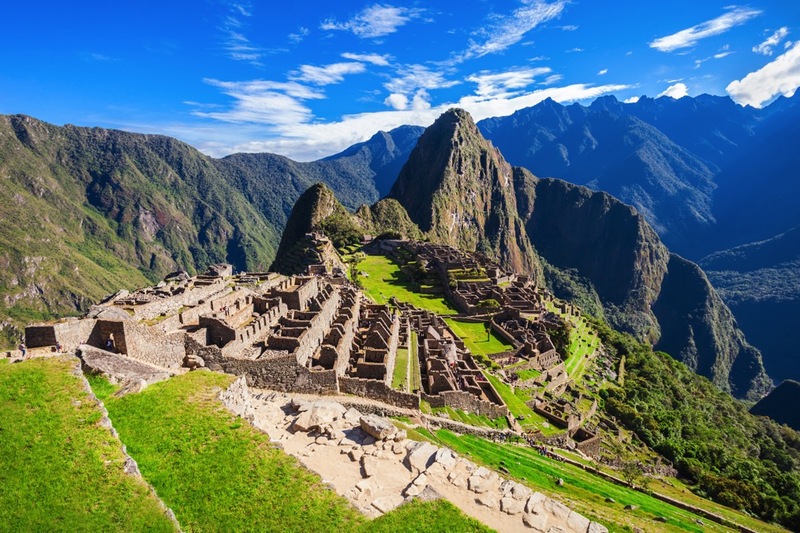 Ambitious hikers wishing to take on The Inca Trail will need to plan ahead, as space is limited year-round. American Airlines and LATAM Airlines offer daily, direct flights to Lima from LAX. 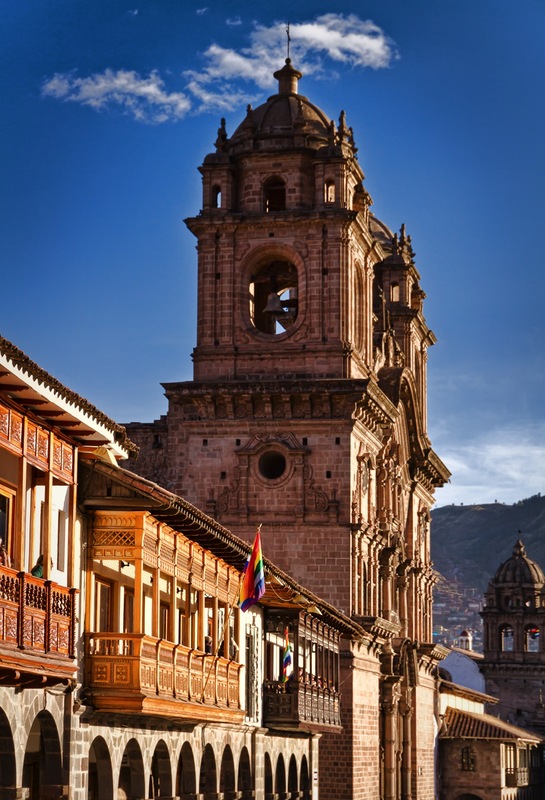 From there, choose one of the many South American-based airlines that fly to Cusco every hour. After you’ve endured the rather lengthy nine-hour flight to Peru, you’ll be pleased to know the second leg is a mere hour and 20 minutes short. Lodging in Cusco is an abundant mix of hotels, hostels and vacation homes. For a taste of luxury, try the Palacio del Inca or the JW Marriott. Both are set in historical buildings and offer impeccable style and world-class spas. Mid-range hotels like Novotel Cusco Hotel boast modern renovations and historic charm, complete with fantastic courtyards. Being named the Leading Culinary Destination by the World Travel Association is no small feat, but Peru has claimed the top spot for six years in a row! The capital city of Lima has paved the way for the rest of the country, and Cusco is just the place to dig in. Acclaimed South American chef Gastón Acurio’s Chicha gives guests a creative sample of the region, while Pacha Papa gives food adventurers the opportunity to try the Peruvian delicacy, Cuy—guinea pig. And if not-so-gamey food is what you’re after, highly-rated vegetarian and international restaurants abound. Whatever you do, don’t miss out on a pisco sour at one of the many bars around town!